I purchased the grape GBC and it works flawlessly. Looks new, games work great. No complaints. New screen and batteries as advertised. You can tell it was used, but it works well. So much nostalgia, and mine was in great condition, Could barely tell it was used! 10/10 would recommend Lukie Games! This is really nostalgic. 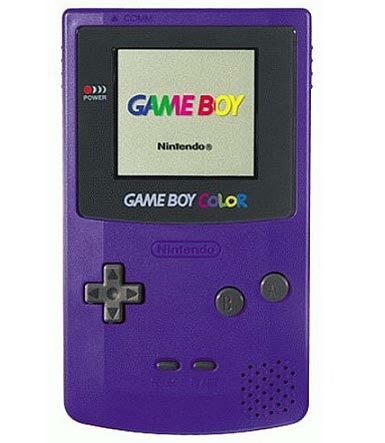 Works exactly like my first GBC. Looks great too. Thanks Lukie Games! 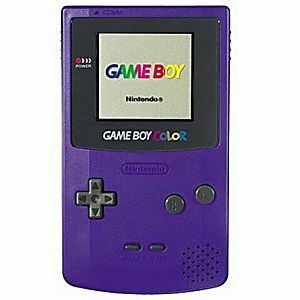 I got it mostly so I could play Pokemon Yellow on it. It came quick and in great condition. It had a couple small scratches on the back of it but other than that, it came as they said. Showed up in amazing condition! I purchased this along side with pokemon red and have enjoyed every moment of it so far! Get price for a product I enjoyed so much as a child. Highly recommend ordering from Lukie games! Recently got this gameboy and pokemon blue. Both worked perfectly! The gameboy came to me with a new screen, and free batteries. The shipping was fast, and LukieGames obviously cares about their customers. If you want to relive childhood moments, or just play for fun. This is the best place to do so. You won't find a better price anywhere else. Thank you LukieGames!! I purchased this Gameboy Color thinking it would be in better condition; although there are no major scratches on the screen that inhibit gameplay, it does not look like a new screen, either that or whoever put on the new screen did a bad job and left scuff marks on the bottom below the logo and to the right (on the black border, not the actual screen). The buttons work fine, although the D-Pad kind of sticks, but that might just be because I grip it really hard when I play. The battery case in the back is loose and can be kind of annoying, but once I'm playing I forget all about it. The Volume works fine. I've had the Gameboy for three days today, and it works totally fine (I've been playing Pokemon Blue, the only reason why I bought the GBC). I've clocked in almost 8 hours of gameplay and the battery light is still strong and nothing has messed up. Despite the GBC still looking used as though I purchased it at a garage sale, I'm happy with my purchase. I will probably not buy another Gameboy console off of this website (I collect them) but I will most definitely purchase more game cartridges. Keep in mind that some people who have purchased Gameboys off of lukiegames received them in better condition than I did, so I guess it's just a luck of the draw! I still recommend this website. In their own words they say NEW screen installed, That is NOT the case. Buyer BEWARE! I am working on getting a refund or a replacement. Description This set includes- Grape hand-held system NEW screen installed 2 AA batteries This system has been tested and is guaranteed to work!